Her Royal Highness Crown Princess Mary of Denmark is joined by Cabinet Secretary of Health, Sicily Kariuki, President/ CEO Women Deliver, Katja Iversen, Minister of Development Cooperation of Denmark, Ulla Tørnæs, and Deliver For Good Kenya partners at the launch of the new advocacy campaign, Deliver for Good Kenya. 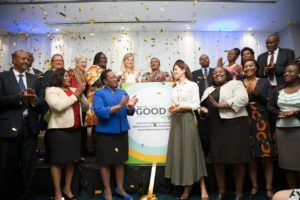 A new advocacy Campaign called Deliver for Good was launched today in Kenya by a coalition of senior Kenyan advocates and national and international partners. The launch kick starts a new effort to fuel lasting change for Kenyan girls and women and to drive progress in achieving the Sustainable Development Goals (SDGs). The Campaign brings together diverse stakeholders to accelerate national efforts to achieve gender equality. Its formal launch in Nairobi convened high-level government representatives and leading civil society advocates to: 1) discuss how we change the narrative around girls and women—talking about them as powerful agents of change rather than vulnerable people; 2) bring together unexpected partners working across sectors; and 3) inspire action to help the country achieve the SDGs and become a gender equal nation. Following a global launch of the Deliver for Good Campaign in 2016, Kenya was identified as the first focus country for dedicated advocacy and communication efforts to build upon existing Kenyan activities. Currently, more than 400 organizations globally have signed on to the Campaign, building a movement to catalyze action for girls and women. The Campaign policy priorities are closely aligned with the Big Four Agenda and the government’s existing commitments to prioritize gender equality at the national and subnational levels. 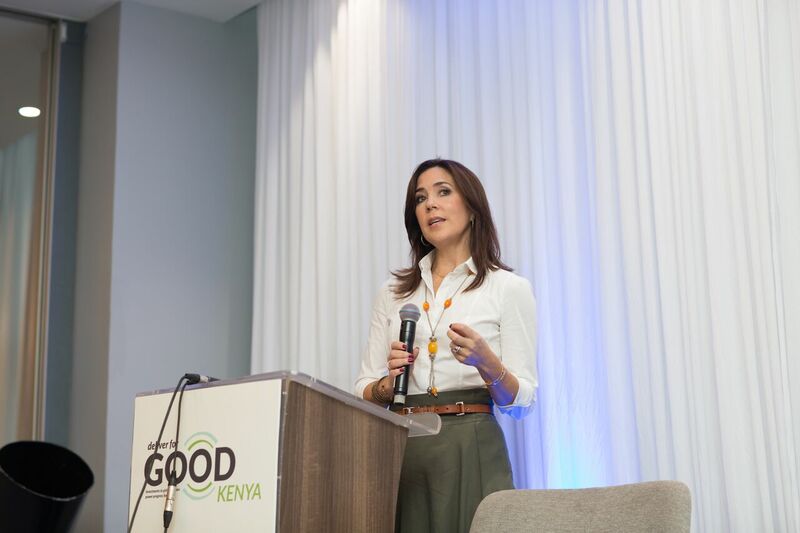 Her Royal Highness Crown Princess Mary of Denmark delivers her remarks at the launch of Deliver For Good in Kenya at Radisson Blu, Nairobi Kenya. 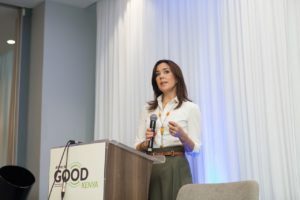 Tags: Her Royal Highness Crown Princess Mary of Denmark delivers her remarks at the launch of Deliver For Good in Kenya at Radisson Blu, Nairobi Kenya.